Moorside park is a neighbourhood Park within the Crosby and Waterloo Area within Sefton Council. The existing area contained old and damaged goal units, basketball hoops and park furniture which meant children’s play was limited. A site visit, risk assessment and health and safety report was conducted to allow Caloo to provide Moorside Park with the best solution to meet their needs. 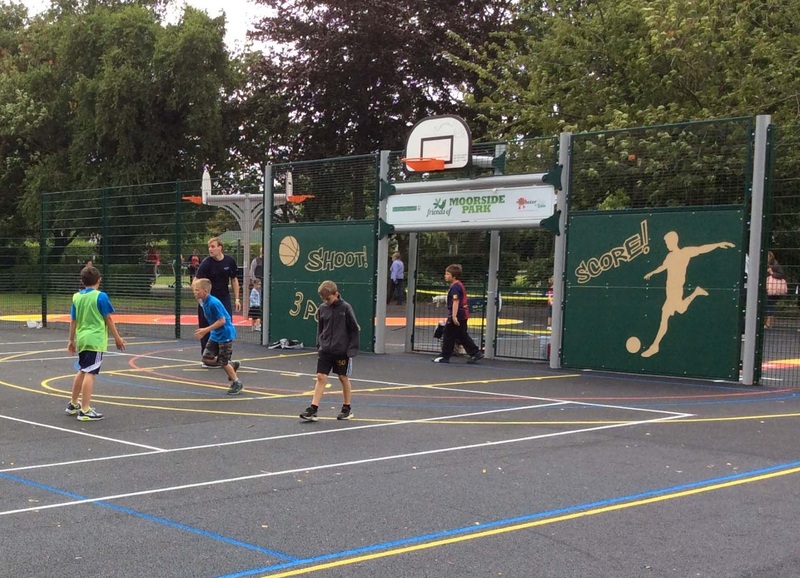 The Client indicated they wanted a complete refurbishment of the Multi Use Games Area (MUGA) to provide opportunities for older children to play football, basketball, tennis and cricket. The site required fencing and refreshing the existing tarmac surfacing. • Multi active Double Basketball Post.